She’s a number of characters, none too possessive of her spirit to make one personality of her. Uplifting. Her music empowers, it expects respect, it doesn’t demand it. Her first EP, Epidemic of Words is as powerful as it is gentle. Angel Mutoni digs deep into her being and throws up diamond and gold bars of rhythm. She defies stereotypes thrown at women in the Rwandan society and is able to be at once, strong and vulnerable. Epidemic of Words has been followed by two other EPs: Rise and Epidemic of Words Vol 2. Angel’s words come in English, French and Kinyarwanda. They are a medley of hiphop and poetry; the two energies are virtually inseparable on each tracks. Her Epidemic of Words is infectious in its mood-lifting and yet thoughtful tone. She will be releasing a new project ‘Sun Flower Seed’ later this year. I thought I should speak with her about this project to learn about her process , about her person and her art. Thank you Angel for taking this time to speak to me. You’ve been able to release one EP and two mixtape, with almost no space between each release. The first in 2013, the second in 2014 and the last in 2015. What fuels this drive to keep creating? When did this ‘epidemic’ start? It is a pleasure to speak with you. Well this ‘epidemic’ started a long time ago. I started writing poetry and songs at around 10years old. I have always found it easier for me to express myself through writing and so I think that is where the epidemic started. The spread, however, started around 2010 when I began sharing most of my writings to ‘the world’. Eventually a year or so later, I discovered performance side of things and my life was never the same after that. The epidemic grew and spread more and more each year. My fuel comes from the therapeutic feeling that comes from creating. I feel most alive and empowered when I am, for example, in the studio recording a song I have had in me for a long time. It feels liberating and soothing. When I spend a long time not writing or recording, I feel sick. I yearn for it, you know? I am not sure how to explain it but it is something I cannot live without doing, so the fuel comes naturally I guess. The number of female MCees has over the years increased but still suffers in comparison to that of men. Why do you think this is the case? I mean, I feel like there are so many more females in hip hop out there than we are made to believe, but yes it is very much a male dominated genre, just as the music industry is a male dominated industry and just like many other industries that are dominated by males. It is nothing new, but it sure is something we (female artists) try and fight every single day by just being here and doing what we do best. I think the lack of recognition and the typical patriarchal systems we still live in today play a huge role in this. Personally, as I tweeted late last year, I no longer want to be referred to as a ‘female rapper’ or ‘female Emcee’. I am simply a rapper. Simply an Artist. There’s many rules, expectations and stereotypes thrown at women worldwide but especially in the African context. What role do you think your music has played in confronting this kind of thinking? In my music I tend to speak on self-love a lot. In this context I am liberating the listener from any rules, expectations or stereotypes by encouraging them to live truly and freely. As women it is one of the most important things we must learn because it builds character and stomps on any of those “expectations” that we are made to believe are for our own good. My music is my identity. I speak my truth and let others hear it and I think maybe that is something that we are not used to, especially out here. Vulnerability is something we are taught to lose as we grow up because we are women, and I think my music plays against that somehow. Are there any particular influences on your music that you want to share? I think I am influenced by too many things and people to have particular ones. I listen to all genres of music and take out the little things that speak to me, that I connect with and use those things as influences. It is the same for artist influences. Poetry is a recurring part of your music. Tell me more about why this is the case. Many times, the subject of your music is battling with internal conflict, an introverted character in many ways. The track ‘Today’ for example, which features Gisa. How common do you think this image you paint in this song is in the Rwandan context? 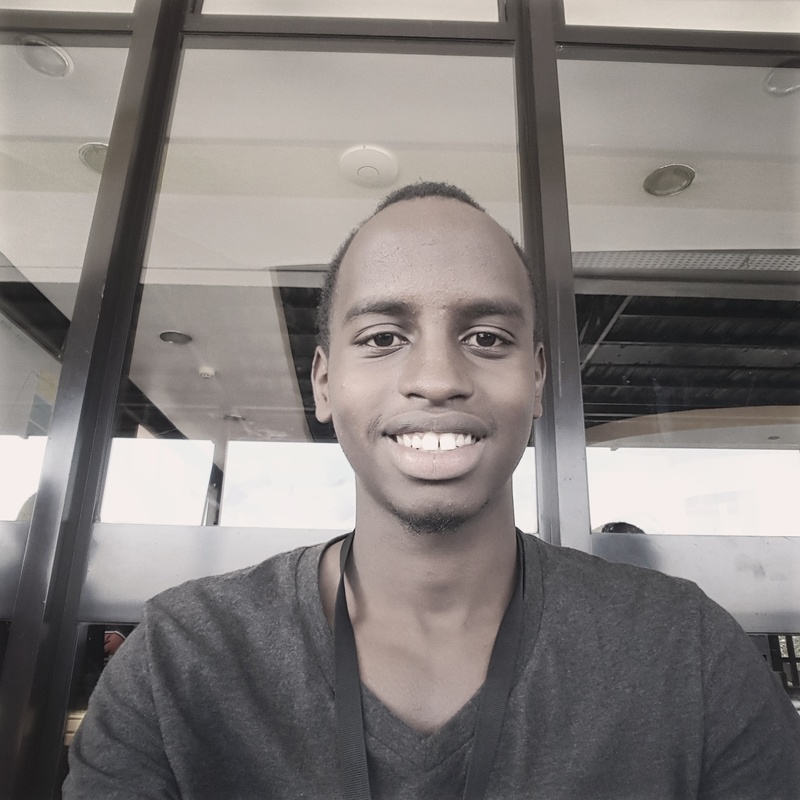 *I think as a young person in a modernized Rwanda, we now talk about these internal issues that we all face louder than we used to. It is still quite taboo but things are changing. What I write for me, might be relevant or irrelevant to others, but what I do know is that it heals me. Like I said, I let myself be vulnerable and open in my music because that is where I am most comfortable with expressing myself and that is what art should be about. As for the song ‘Today’ I wrote that song in 2013 as I was fighting with my fears of ‘shooting my shot’ as a music artist. I wanted to be great (and still do) but I had no idea how to proceed after so many years of holding back (also still learning this). It was like the future me talking to that present me, telling myself to “keep your soul, you better stay awake”. This is something I think young people, everywhere, struggle with at some point in their lives and it is important to talk about it. I wouldn’t know how to explain the Rwandan context exactly because as I was writing most of ‘Epidemic of Words’, I was writing it for me and my personal experiences and emotions. What kind of reception to you get from your listeners? What has surprised you the most from interacting with the people who listen to your music? I’ve had some amazing interactions with people who listen to my music. This one time, some girl messaged me to tell me that she loves my music and what I write about because it gives her hope. I was in awe. Another time a guy wrote to me and told me he believes in me and wishes me great success. It is the smallest of things but it means so much to me as an artist to know that there are people out there who really do take their time and listen to my music. I mean really listen. I’ve had conversations with people who tell me they consider me part of some of the more authentic artists out here in our region, and I don’t know about other people but I think that is a huge compliment. It touches me not because I don’t think I am capable or I am not good, but because this is still sort of the beginning for me and I know I will be able to do bigger/better things and will have them to thank for it. You’re working on a new project ‘Sun-Flower Seed’. How did that title come about? Well, first of all the title of the EP was originally Sun-Flower and was also meant to be my debut album, but I added the ‘Seed’ when I realized I wasn’t ready to make a full studio album for several reasons. One of them being that I wanted to speak my truth as I always do, and I felt like the Sun-flower album would represent growth and getting into womanhood, which I felt I had not fully reached yet, so I decided to change it. Flower: which represents the person, prosperity, beauty, the emotions, etc. Seed: Is the things I use to grow coming from the sun and the flower. So the music, the self-love, the people around me, the discoveries all put together. In other words ‘Sun-Flower Seed’ is an EP about the pains and gains of healing, growing and becoming something more. The sun-flower is a metaphor for a young African woman. It is about self-love, learning to let yourself be loved and love back and literally living your truth in the most powerful way you can. The seed is about reflecting on what was and what is coming and preparing for it. Tell me a little about the process of making this EP. Well I have been writing for a year now. I think this is the longest I’ve gone without releasing anything really new since 2015. I took some time off of releasing stuff to live life and gain inspiration through different activities and situations. So, a lot of these songs were written way before and others more recently. I can’t say I have a specific process for the making of this EP, but I can say that I did plan/write it out differently from my other projects. I wrote a lot more before coming up with instrumentals and such this time. I have more control over the instrumentals and several of the beats I co-produce. I started out writing most of them with the guitar and then eventually contact the producer to add his spices. There was also a lot of jamming that went on. Nothing too extreme, pretty simple process. There’s been growth to your character since ‘Epidemic of Words’. More and more people are taking notice of your skill and you’ve been part of a number of International musical events. Is that something that you think went into how this new project was made, knowing that there is an audience anticipating a new release? Is there a certain new pressure you’re feeling? Yes, there is definitely a new pressure. I feel it more every day. But that is something I try to ignore. I want to stick to the basics. Do things my way and deliver as best as I can, because if people are enjoying what I am doing then they will continue to enjoy it if I stay true to myself and my process, but of course giving out something new and different every time. I am grateful for the experiences I’ve had so far, that have been shaping me into the artist I am and will become. It definitely is something that went into the way I made this new project, because in the process of meeting all these different people and experiencing things I never thought I would, I discovered myself on a whole other level and it made me want to be better and greater in all my qualities and flaws. It made me love myself more and learn to accept all the issues which eventually led to the ‘Sun-Flower Seed’ becoming a thing. The artist, at least in Rwanda, is still struggling to have their work taken seriously or at least taken seriously enough that they’re able to live solely off of it. Copyrights are still somewhat a cloud of a concept, and distribution suffers when it comes to musical platforms. What do you think is missing here? Do you see this beginning to change anytime soon? I think the lack of communication among artists can be a major factor, because as much as we would like to blame society or governments for all of this, we have a role to play as well. If artists were to come together as a collective somehow, I am sure we could fight these problems properly. I think it is that, but also the fact that culturally (I think), Rwandan people aren’t huge consumers of entertainment in general. This is something that could be changed through education and some type of awareness strategies and then made appealing to the public. But all in all, I also feel like things have changed considerably, despite how slow the change is being, but we can be a little bit more hopeful nowadays. Finally, there is always always a sense of becoming in your music, of growth that comes out of pain and disappointment. On your track ‘Strong Fragile Skin’, this sense comes off more strongly. What are your thoughts on hope and is that an emotion that you think defines your music? Yes, there is always a sense of becoming in my music because I think as humans we are always changing, evolving and learning to adapt to the lives we live. In my music, like I said before, I am always somehow speaking to myself. It is therapeutic for me. I am empowering myself and giving myself hope for the future. This was mostly visible in the first ‘Epidemic of Words’ songs where I was finding myself through my own words and didn’t know exactly where I was headed. In the more recent music, it is not to say I’ve found myself, but I have evolved in some way and so it’s less about pain and more about strength and recognition or acceptance of self. I think because I wasn’t sure what I was doing and where I wanted to go with things, my first project became like a personal diary in which I shed every single thought I had in me. I don’t listen back to it much, but when I do, I realize how much I have evolved and how much making that project was an important step for me as a person but also as an artist. I personally think that music, in general, is hope. It has the power to give build, so I think it is an important part of my music. I will always have that aspect in my music as yes, it is also part of my music identity. I like to empower and speak positive and enlightening words. However, I hope to become even more honest and powerful with my music as I continue to grow and learn about myself and the world.